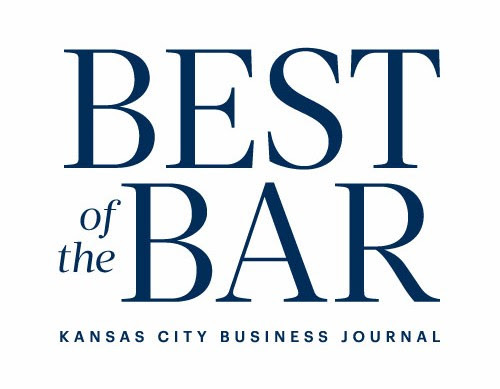 Congratulations to the 2016 class of the Kansas City Business Journal’s Best of the Bar. It is an accolade that you should be proud to receive, but the value of such an honor is only realized fully if you put it to work on your own behalf. Best of the Bar Awards Reception — One of the most valuable opportunities to come from your inclusion in the 2016 class of Best of the Bar is being provided by the Business Journal — their team is hosting an awards reception for honorees at 4:30 p.m. on November 17 at Three Points. This creates an immediate opportunity to network, mingle with peers who are achieving at the same level and begin new relationships that place you top-of-mind for high-value referrals. Attending this event is a no-brainer, and you should register today to attend — click here. Share News of Your Award — Being featured in the Business Journal certainly has value, and you can maximize that value by redirecting the news to your own network of clients, colleagues and friends, who may or may not have read the news in last week’s edition. With that in mind, encourage your firm to post an announcement on its website and share the same on the firm’s social media pages. In certain instances, if your firm has multiple members in Best of the Bar, it may also consider including the news in its print or electronic newsletters. Update Your Existing Biography — Attorney biographies are the most trafficked pages of a law firm website and, as such, should be kept as up to date as possible. Any time you receive an honor or award, you should immediately update your website biography to reflect the recent accolade and make the same changes to your LinkedIn profile, which also has a section for featuring awards and honors. Update Existing Firm Materials — As new awards and honors are received, your law firm should routinely incorporate the recognitions into existing marketing materials, brochures, business development packets, etc., to make certain these differentiators are highlighted appropriately as you’re communicating with prospective clients. As you can see, however, the greatest opportunity of those highlighted here is the chance to network with your peers on the Best of the Bar. New business is rarely realized from an award on its own and much more commonly earned through relationship building within your industry. With that in mind, we strongly encourage you to attend the Business Journal reception and look forward to seeing you there! Again, you can sign up for the event by visiting the Business Journal’s event page here. 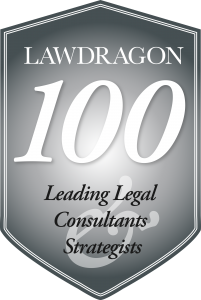 Proventus Consulting is pleased to announce that founder Burton Taylor has been named to Lawdragon’s 100 Leading Legal Consultants and Strategists for 2016 for his achievements on behalf industry and law firm clients in legal marketing, public relations and business development. As founder of Proventus Consulting, which was launched four years ago with a specific focus on serving the legal industry, Taylor has grown experience as a media and marketing strategist that “lawyers trust most,” Lawdragon reported. In fact, Proventus has been fortunate to work with numerous of those same attorneys — the Lawdragon 500 and the law firms they call home — in developing and executing on marketing and media relations strategies that are designed specifically to drive their business development. Proventus Consulting is pleased to share that The National Law Journal recognized our agency as the No. 1 Public Relations Firm for Law Firms in its inaugural Best of the Midwest rankings, which were published in a special section of NLJ on Aug. 22, 2016. The top PR firm ranking was awarded to Proventus based on support the firm received from its clients, colleagues and peers in a National Law Journal survey in which participants were asked to rate the best legal industry service providers across a range of categories throughout the Midwest. Nation’s Largest Media: Our team has achieved placements in three of the nation’s five largest newspapers in the United States, including The Wall Street Journal and USA Today, as well as in many of the legal industry’s leading national publications. Major Market Media: Proventus earned media coverage for clients in 25 different states and major metropolitan areas in 2015, including features in markets ranging from California and Phoenix to Denver, St. Louis, New York and Washington, D.C. Thought Leadership: Our clients have been published by media ranging from The National Law Journal and The Docket to numerous industry-specific and trade publications that align specifically with their business development goals and objectives. To learn more about our experience, please visit our website at www.proventusconsulting.com. Contact Us Today to Discuss Your Firm’s Needs. Law Week, a Colorado-based newspaper published for lawyers, law firms, corporate counsel and the judiciary, recently featured an article written by Proventus Consulting’s Burton Taylor, titled “Client Service, Referrals Most Important Factors for Earning New Business,” in its April 18, 2016 edition. The article highlighted a recent BTI Consulting survey on what motivates a company to hire one law firm over another with findings including superior client service, peer recommendations, thought leadership, industry engagement, brand reputation and in-person interactions. “In an increasingly competitive market, the takeaways provide attentive law firms an inside look and possible leg up as they pursue new business in a legal industry where opportunity has been flat, at best, in recent years,” Taylor wrote. The article continued by outlining ways in which attorneys and firms can engage in legal marketing that aligns with the interests of their prospective clients. Proventus Consulting would like to thank the Legal Marketing Association (LMA) for the opportunity to write an article for Strategies+, a blog for law firm marketing, on low-cost ways attorneys can market their practices. In the article, author Burton Taylor highlights ways to increase your visibility and grow your personal brand by proactively managing your online presence, being actively involved with local bar associations, positioning yourself as a contributing thought leader, and encouraging referrals, among others. Legal Management, a national trade magazine published by the Association of Legal Administrators, featured a legal marketing article written by Proventus Consulting’s Burton Taylor, titled “Innovative Marketing on a Shoestring Budget,” in its February 2016 edition. Taylor’s article continued by providing several tips on low to no cost ways that attorneys and firms can market their practices ranging from pursuing legal public relations and thought leadership opportunities to leveraging online and electronic legal marketing strategies. Proventus Consulting is pleased to announce the addition of Tori Taylor to its team as a marketing coordinator. Taylor will work with clients to develop and execute on successful marketing, public relations and business development strategies to drive new business opportunities for their firms. Prior to joining Proventus, Taylor was a litigation paralegal and marketing consultant for Gilroy Bailey Trumble, LLC (GBT), a boutique law firm based in Alpharetta, Ga. While at GBT, Taylor successfully developed and executed the firm’s multi-faceted marketing plan while also managing a high-volume client portfolio. Her experience ranges from drafting press releases, biographies and marketing materials to preparing complex legal documents. In addition to her work with GBT, Taylor has also gained valuable industry experience from working in other communications positions, including a public relations internship with the Arthritis Foundation and as a marketing and business development coordinator at an Inc. 5000’s Fastest Growing Private Companies in America. Taylor earned her bachelor’s degree in Advertising and Public Relations from Loyola University Chicago’s School of Communication. Proventus Consulting’s marketing, public relations and business development achievements for clients were recently recognized with an honor from the Greater Kansas City chapter of the Public Relations Society of America (PRSA). During the 2015 PRISM Awards Gala in Kansas City, Mo., on Sept. 24, Proventus Consulting received the Silver Award in the Marketing B2B Campaign division. Proventus Consulting was selected for the award based on outcomes that included the execution of an integrated marketing strategy that resulted in the greatly elevated visibility of a client. The awards program serves as the Greater Kansas City PRSA chapter’s recognition of outstanding marketing campaigns and materials created by public relations professionals who practice in the greater Kansas City area or have completed assignments for KC-based clients. In addition to receiving recognition for its accomplishments on behalf of clients, Proventus Consulting was also delighted to serve as one of the sponsors for the awards gala and extend its support to the event planning committee. Marketing Coordinator Emily Brown served as a member of the PRISM Committee, helping plan and coordinate decorations for the gala. Proventus Consulting extends its congratulations to all the winners of this year’s Greater Kansas City PRISM Awards! Missouri Lawyers Weekly published an article by Proventus Consulting founder Burton Taylor titled, “Fund Your Marketing Budget with Time Instead of Money.” In the article, Taylor offered advice to law firms of all sizes on various ways to increase visibility, strengthen brands and encourage new business with little to no cost. “Despite the perception that a large marketing budget is required to effectively grow a law firm, attorneys who may be cash strapped but marketing savvy are instead investing their time rather than money to increase their visibility and develop new business in the highly competitive industry of legal practice,” Taylor wrote in the article. The article included a list of suggested activities and strategies for attorneys in areas including thought leadership, third-party endorsements, professional and trade associations, e-communications, websites and social media. “These simple strategies can help ensure that your existing and potential clients keep you top-of-mind — a critical business development component — when it comes time for them to retain counsel,” Taylor wrote. To access the article in full, please click here. Proventus Consulting is pleased to announce the addition of Katie Krull, who will serve as a graphic design intern for summer 2015. Krull is a student at Truman State University in Kirksville, Mo., where she is pursuing a bachelor’s degree in Fine Arts in Visual Communication and a minor in General Communication. Prior to her internship with Proventus, Krull interned for McCann Worldgroup in Shanghai, China, where she created marketing materials for Cadillac. Her previous experience includes design and layout of print brochures and flyers, product packaging and web development. Outside of the classroom, Krull is an active member of the collegiate community, holding numerous positions of leadership in student organizations including Truman’s Women’s Club Soccer team of which she is currently Vice President. Krull is also a member of the National Society of Collegiate Scholars, the American Institute of Graphic Arts and a volunteer for Habitat for Humanity. The Proventus team is excited to welcome Krull to the team where her skills and experience will be a great asset to the agency’s dedication to delivering creative and cost-effective marketing solutions.